Hey folks! This past week has been a doozy, in a good way! My office has been a complete and utter mess, the past few years, I’ve had the “excuse” of being in grad school to avoid cleaning. Well, it’s been a year since I graduated and I finally found the motivation to clean. It really did feel cathartic. There are some things that I’ve held onto for sentimental reasons, I decided to let go of some for my sanity! I cleared out at least 3 garbage bags and my office now looks great. I had at least two people mention they didn’t know I had two chairs in my office, that is pretty bad. I’ll have to try to keep it up, wish me luck! First attempt! The cutting board with knife. 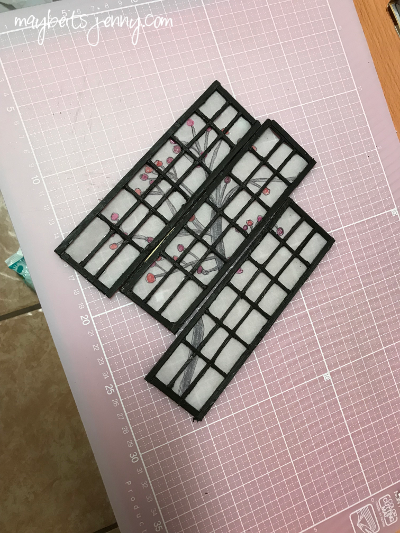 The cutting board was from this tutorial. 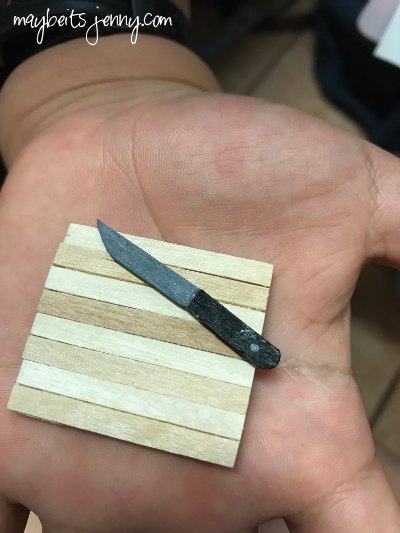 The knife, I carved out myself using wooden coffee stirrers. 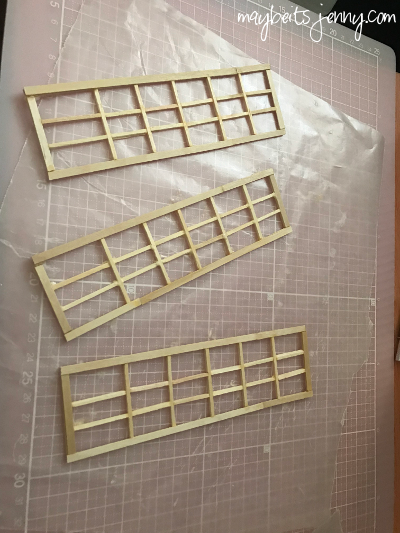 There are uneven pieces here, I learned the hard way that wooden coffee stirrers are not all the same size and shape…haha. 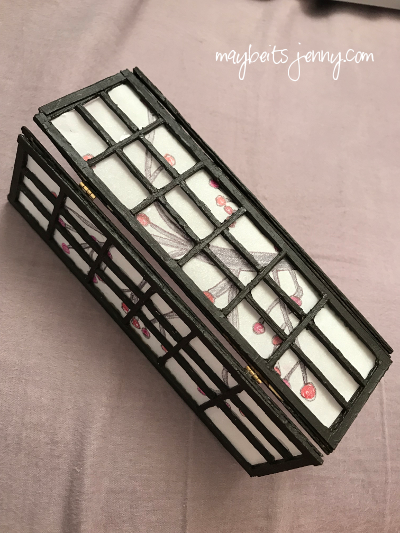 Dollhouse hinges! Yes! This divider can be opened and closed! Yay! Can you tell what this one is? This was done on my own, no tutorials. It’s inspired by those big floor lantern lights! Custom art by Jenny. Well, I printed out templates to trace onto parchment paper…still wasn’t super easy but so worth it. 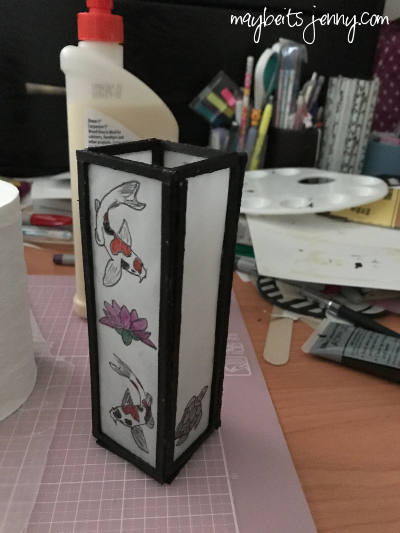 Koi fish, turtles and lotus flowers. I made this as a gift for my friend, I really hope he likes it. 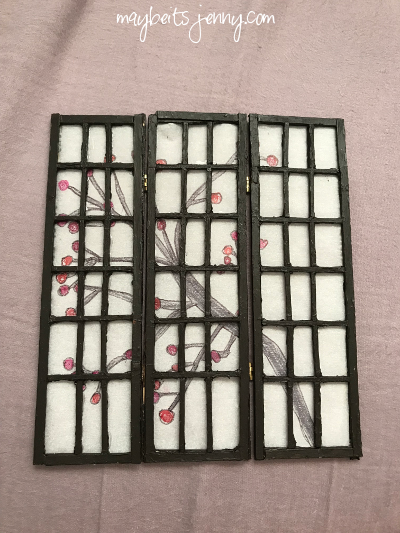 This entry was posted in Snapshot and tagged Crafts, Miniatures. I like the rustic way the folding screen turned out by using the coffee stirrers. It looks more authentic because it’s a bit uneven. 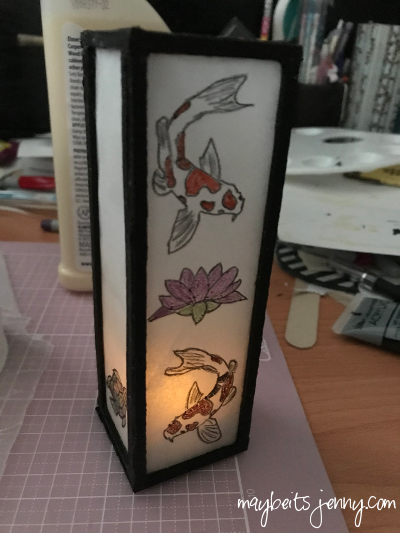 And you can see the improvement you made with the koi lantern; I’d like to have a full size one in my house! love miniatures! you are talented! Thank you kat! I have a goal in mind for a future project…will definitely document it!